Just as Norway’s state oil company Statoil was announcing plans to become more climate-friendly, the government unveiled plans to accommodate more climate-unfriendly oil and gas projects in the Arctic. 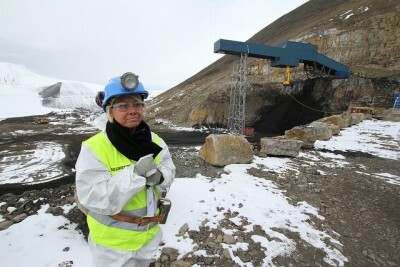 Norway’s conservative minority government coalition is also evaluating support for ongoing coal mining operations on Svalbard, to preserve jobs. The moves indicate that Prime Minister Erna Solberg, who was speaking Tuesday at the Arctic Frontiers conference in Tromsø, and her government are putting more priority on economic activity and jobs in Norway’s far north than on climate considerations, claimed political commentator Arne Strand in newspaper Dagsavisen. Environmental advocates agree, accusing the government of defying professional advice and shirking its responsibility to protect vulnerable areas of the Arctic. Both the opening of new oil fields in the Barents Sea and the controversial operations of the Store Norske Spitsbergen Kullcompani in the fragile Arctic have been hotly contested by environmentalists, opposition politicians, UN officials and climate experts. It’s a paradox that even as Statoil itself launches moves away from fossil fuels, Solberg and her ministers aren’t moving away much at all from the oil and Arctic policies of their left-center government predecessors. Oil Minister Tord Lien announced at an oil industry meeting in Sandefjord on Tuesday that the delayed 23rd licensing round for new oil fields in Norwegian offshore territory would proceed as planned. It opens up areas father north than ever before, east of Bjørnøya and bordering on Russian territory. The round consists of 57 blocs: 34 in the southeastern Barents Sea (previously a disputed area towards Russia), 20 blocs elsewhere in the Barents and three in the Norwegian Sea. New production licenses will be offered in these new areas in the first half of next year. The government also offered shares in 54 new licenses (34 in the North Sea, 16 in the Norwegian Sea and four in the Barents) to 43 companies in another licensing round from last year. The government is even moving the boundaries of the polar ice that were established back in 1994. Solberg’s minister for the environment, Tine Sundtoft, said on national radio Tuesday morning that the ice had melted so much that new satellite data showed it was now 60-70 kilometers farther north of the current boundaries. By redrawing them, the government can conveniently accommodate all the new blocs in the Barents where oil companies have wanted to launch exploration and, eventually, production. 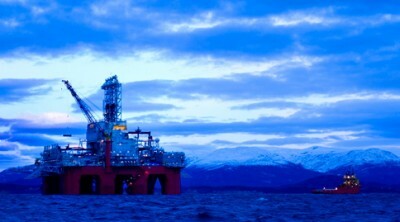 It’s the first time in more than 20 years that such a large new area of Norway’s offshore territory has been opened for exploration and productions. The government is acting despite warnings from both professional and environmental lobbies, arguing instead that the natural resources of the Barents Sea are considerable and of great importance to the economy of Finnmark and the rest of Northern Norway. The government is defying the advice of organizations like Zero and Friends of the Earth, who have called upon the government to “let the oil lie” under the seabed. Many have harshly criticized the 23 licensing round and any attempts to tinker with the polar ice boundaries. The ice is in constant movement and climate advocates advise against oil industry activity too close to it. Jan-Gunnar Winther, director of the Norwegian Polar Institute, told state broadcaster NRK that the government’s decision was “a clear consequence” of updated facts regarding the ice movements. Even wealthy investor and businessman Jens Ulltveit-Moe has warned the government against allowing oil activity in the far northern Barents. Ulltveit-Moe called a license in the Barents “a license to lose money.” Risks are high and the current oil price, which has cut in half just since last summer, mean projects won’t be profitable. That may mean that oil company eagerness to launch new projects won’t be high, but more than 40 companies sent in proposals for blocs they wanted included in a new licensing round. Lien is offering them just about all, including 140 in the Barents and 20 in the Norwegian Sea. The government is also defying professional and environmentally oriented advice by not immediately rejecting a request from Svalbard’s Store Norske coal company late last week for a crisis loan of NOK 450 million. Store Norske needs the money to make up for low coal prices and heavy losses despite laying off 100 workers last month. Environmental organizations including Friends of the Earth and Greenpeace have said it would be “crazy” to offer financial support to an operation that presents a direct threat to the climate. Even officials from the United Nations have called on Norway to shut down its disputed coal operations on the fragile Arctic island archipelago. The government, though, is worried about the loss of more jobs on Svalbard. “We can’t left Svalbard die,” claims Øyvind Korsberg, deputy leader of the Progress Party that shares government power with Solberg’s Conservatives. Store Norske remains the largest employer on Svalbard, and it’s economic impact can’t be fully offset by the research and tourism that account for Svalbard’s other major income source. So Trade Minister Monica Mæland is considering a bailout of Store Norske even though the NOK 700 million the company received to open the Svea Nord vein in 2000 was supposed to be its last state subsidy. It’s another paradox that the Conservative Party and especially the Progress Party, both of whom normally object to subsidies, are evaluating them now, not least to bolster an operation many want to see shut down. “It has been established by climate researchers beyond doubt that coal must be phased out if we are to reach our goal of only a two-degree rise in temperatures,” Halvard Raavand of the environmental group Natur og Ungdom told Dagsavisen. The state is also considering pulling its oil fund investments out of coal companies. Raavand claimed Norway must therefore shut down its own production, especially ahead of the next UN climate summit in Paris later this year.